Each year, schools and public libraries across Australia spend a week celebrating books and Australian authors and illustrators. Classroom teachers, teacher librarians and public librarians create displays, develop activities, offer competitions and tell stories relating to a theme to highlight the importance of reading. The Ipswich District Teacher Librarian Network website contains free classroom resources for CBCA Book Week, as well as their (commerical) publication. The Book Chook is the blog of writer Susan Stephenson and each year gives good information on using the shortlisted books in the classroom, as well as activities for CBCA Book Week. Mrs Mac's Library is the web page of Sharon McGuinness. It links to teaching notes for the shortlisted books, as well as providing teaching ideas and activities. Children's Books Daily is the blog of Teacher Librarian and 2017 Dromkeen Medal winner Megan Daley. 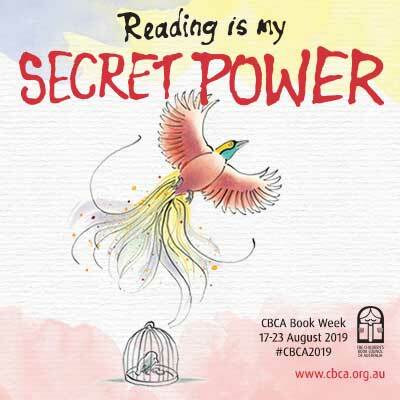 It contains ideas and activities for celebrating CBCA Book Week as well as book character costume ideas for students and teachers. Teach Starter is a subscription-based service providing teaching resources aligned with the Australian curriculum. Their blog contains free ideas and activities for CBCA Book Week. Looking for ideas and inspiration for your CBCA Book Week character parade costume? Our exclusive costume partner Spotlight has some great DIY projects and all your crafting needs covered from feathers and sequins to fabric, felt and more! Perform! Education (operated by one of our corporate partners, Echelon Productions) creates award-winning educational musicals for schools.